Lake Mango offers a wide variety of well constructed frame construction townhouses that were built in the late 1980s. The townhomes are near Lake Clarke Shores and offer a private location with an enclave of units. You are near parks, schools, a variey of restaurants, and minutes away from the airport. This well-established community is surrounded by elegant townhouses that persistently attracts buyers who are seeking for their dream homes in West Palm Beach area. Search all homes for sale, just like an agent. Our free, one step registration allows you to bookmark your favorite houses, save search and receive emails as soon as new townhomes in Lake Mango come on the market. 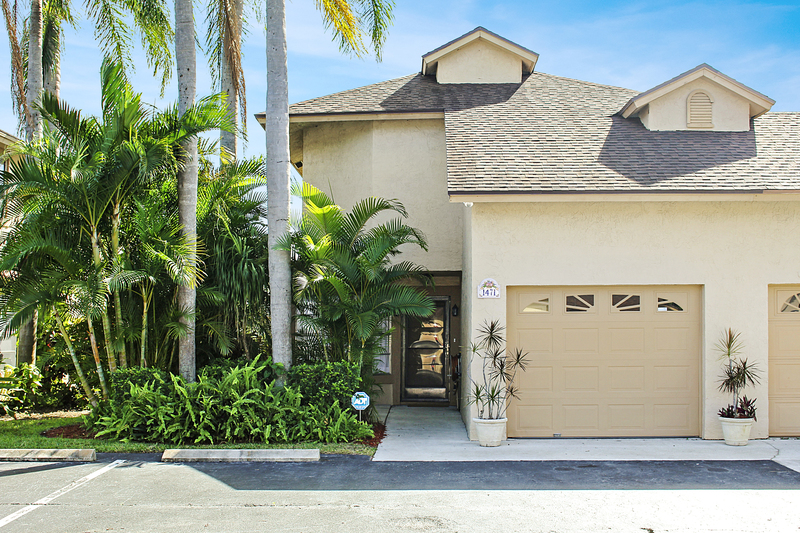 The Lake Mango townhouses have spacious designs with approximately 1,575 air conditioned sq. ft. and has desirable interior features such as elegant ceramic tiles, screened porches, and plenty of room. There is a large kitchen with a breakfast nook with plenty of windows to allow natural lighting in. There is a living and dining area that has a flexible design to fit the needs of all of the owners. There is a 1/2 bath on the first floor. There are 3 bedrooms located upstairs and 2 baths. The master bedroom features a private master bath and spacious closets. Many of the townhomes in Lake Mango feature private patios ideal for BBQs and entertaining. There is a 1 car garage and additional parking too. Lake Mango is a community that has affordable fees and a prime location. You are minutes to Downtown West Palm Beach offering you all of the night life, shopping and dining you could desire. Or you can enjoy the charm of Downtown Delray Beach. You will love the ease of travel with easy access to I-95 and the airport. Living in Lake Mango allows you to explore all that makes South Florida attractive with concerts, boating, golfing and so much more.